A long time ago in a jungle far, far away, several animals came together...and sang. Kids from Christian families who grew up in the 1990's were introduced to the characters of Nozzles the Elephant, Gruffy Bear, the Cheetah Sisters, and many others in the music/story album called All God's Creatures Are Special. 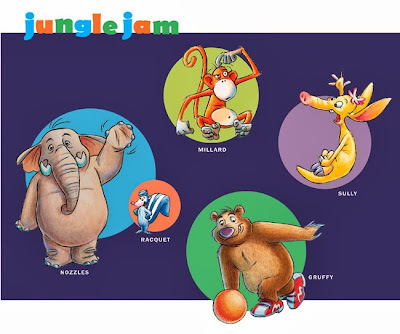 Jeff Parker, who worked at Focus on the Family and on Adventures in Odyssey, created Jungle Jam with the help of Nathan Carlson, also from Odyssey. Later, Phil Lollar joined them. 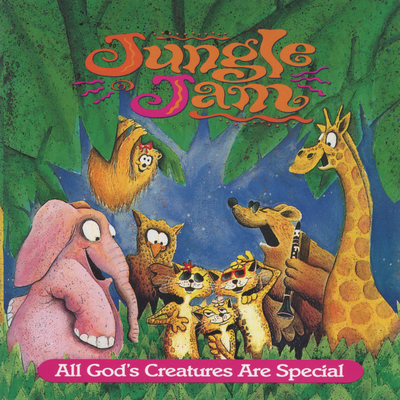 They created several albums with the format of a story filled with songs and funny lines. 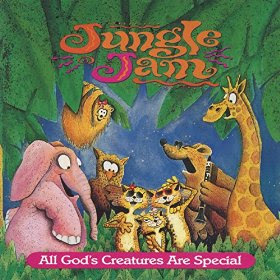 Later, after the success of those albums, they made the jump to a radio series with half hour episodes. The humor on the show is one of the most memorable things about it with its jokes for the kids and the pop culture references and jokes for the parents, all clean and 100% funny. Those shows are still in circulation, but the unedited versions of the original music albums have been out of print for years...until now. You can now get some of those albums in digital format from your favorite music store. 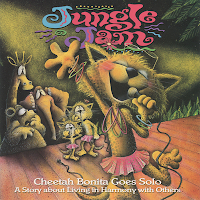 This includes, All God's Creatures Are Special, King of the Jungle, and Cheetah Bonita Goes Solo. There's no sign of the other two, but those may show up later, possibly if these sell well. Please note that these are not the Wild Times... collections of the radio series. If you want to buy the episodes from those albums, you can get them on MP3 and CD at Fancy Monkey Studios. 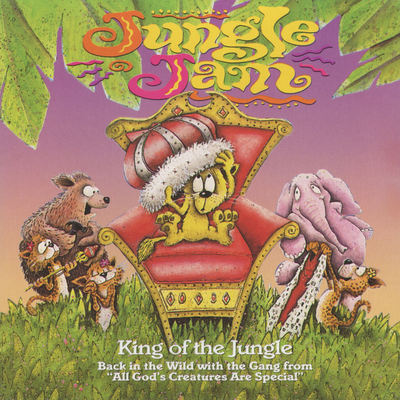 Have you heard Jungle Jam before? What's your favorite episode or character? Austin Peachey is a die-hard reader and audio drama fan. He's run the Adventures in Odyssey Blog for over 6 years and has produced a few audio dramas of his own. He's also worked on the 2nd edition of The Official Guide to Odyssey and can be heard on Iliad House.